My hometown is in beef country USA. So I know a good burger when I taste one! 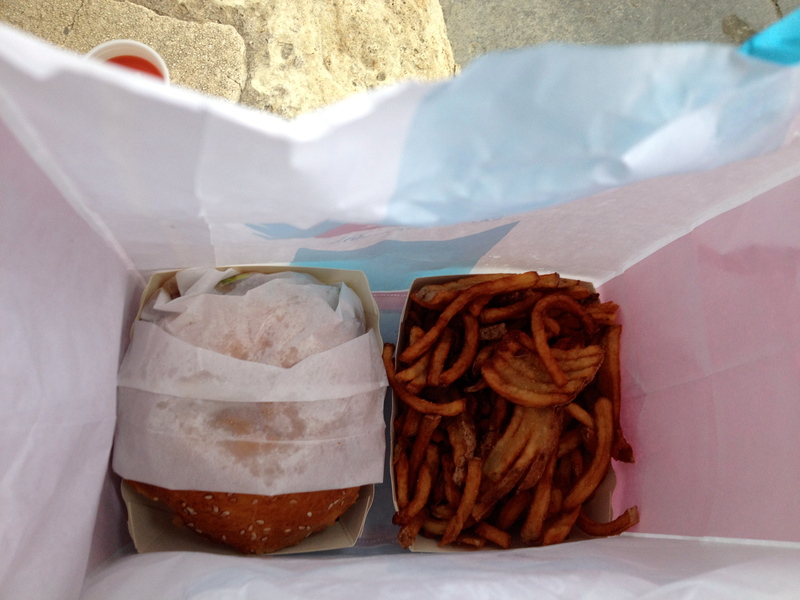 The best burger I have ever eaten in my life? 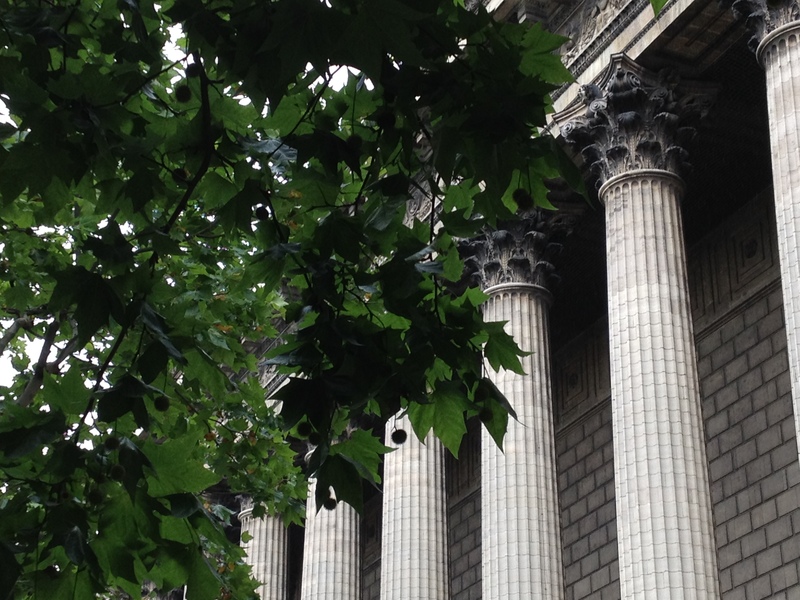 Recently at Cosy Corner, 94 Rue des Dames in the 17th arr. 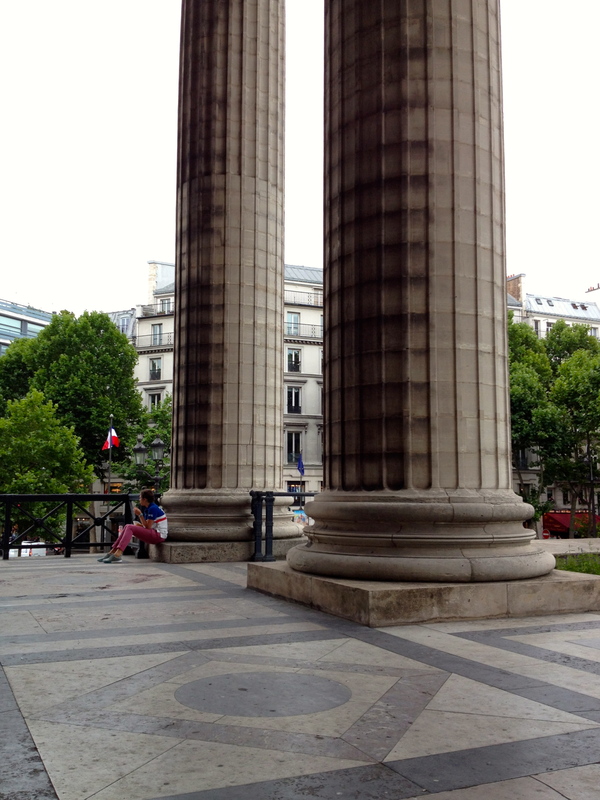 (A wonderful street lined with casual restaurants, by the way.) 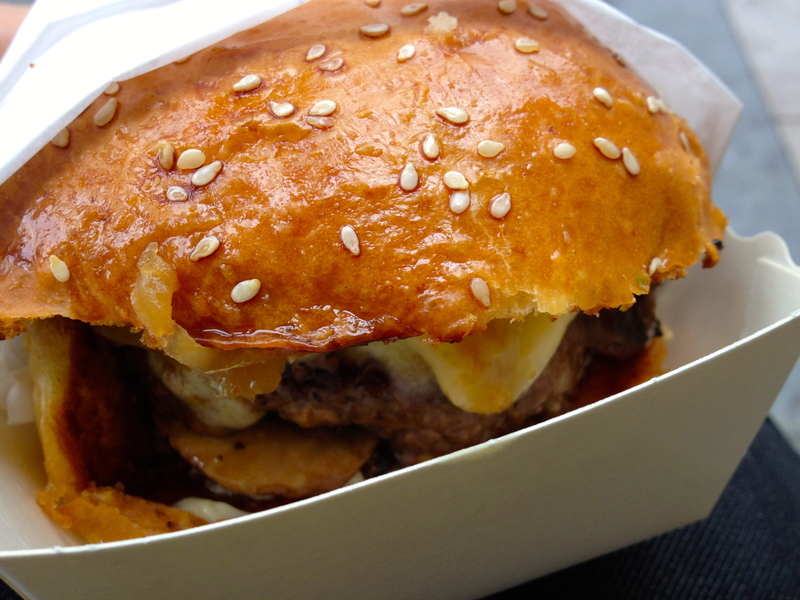 Their hamburger was perfectly cooked with a delicious bun and served already garnished with a to-die-for sauce. 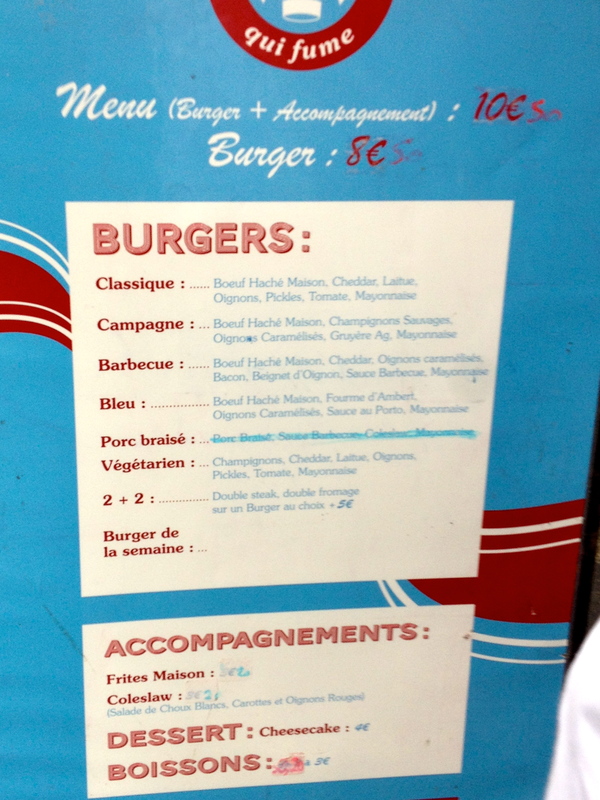 Another favorite burger in Paris? 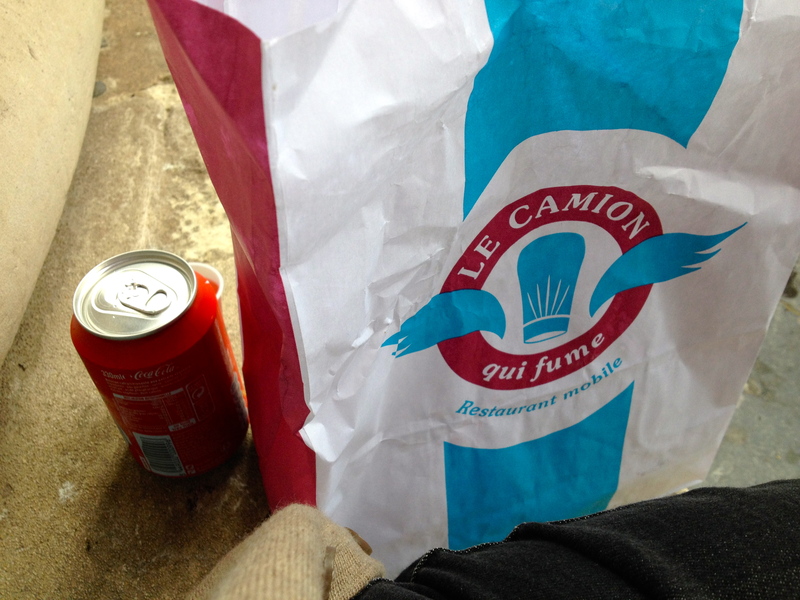 From Le Camion qui fume food truck, which parks in various locations around the city. 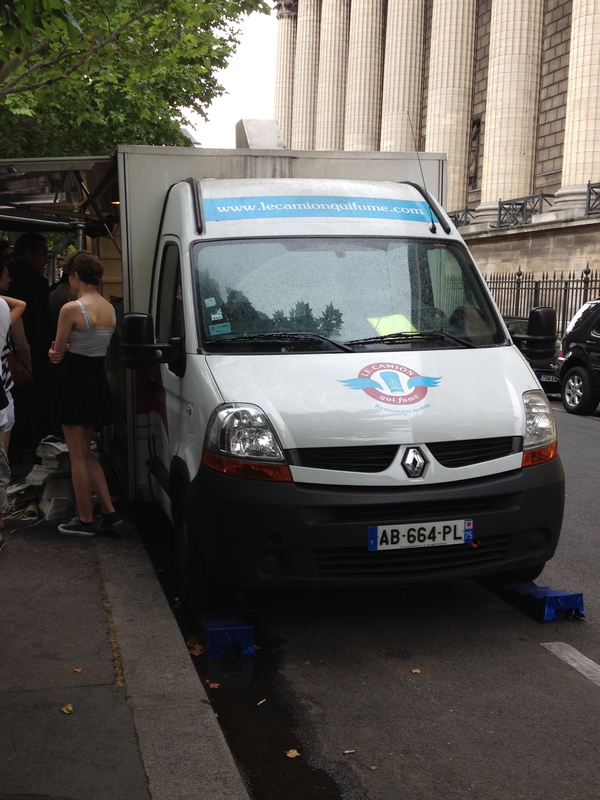 The day I indulged, the truck was parked in the place de la Madeleine–which offers a perfect picnic spot, especially on a rainy day. 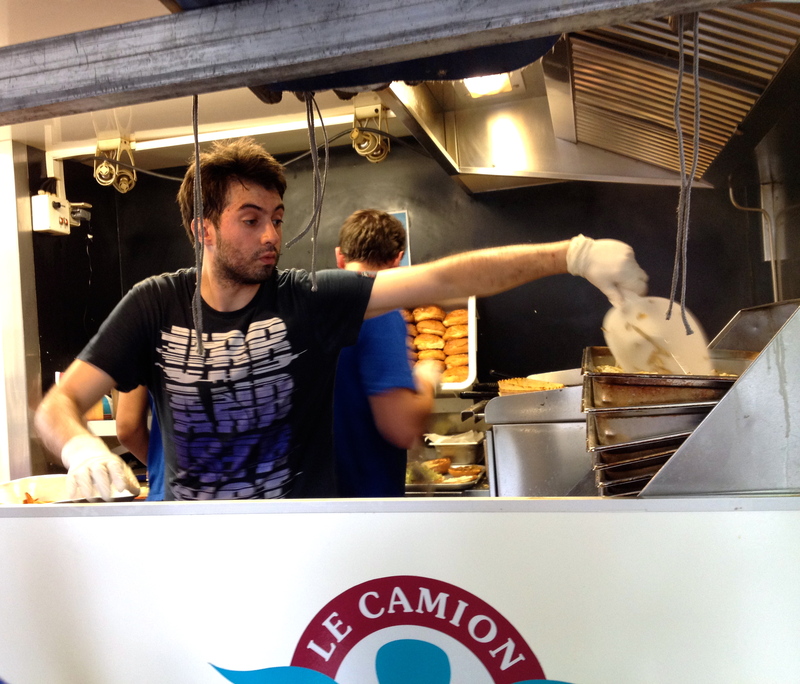 Run by a Californian named Kristin Frederick, Le Camion qui fume does it right with superb burgers and hand-cut fries. 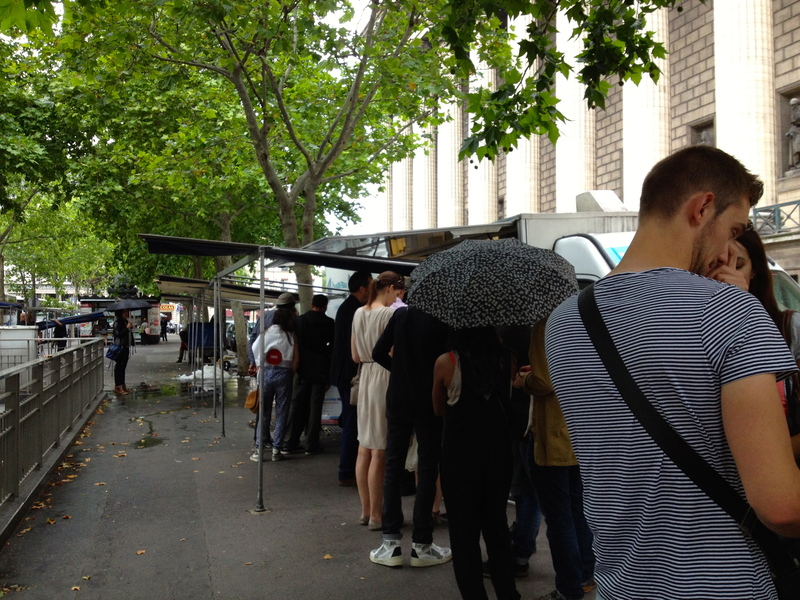 A long line forms and when they run out of meat, they close up and roll away.